The future Pom Pom, 1425 Frankford Ave., is marked by an orange zoning sign posted by the city. Fishtown’s dining boom will expand this summer with Pom Pom, a fast-casual vegetarian/vegan cafe by Ben Bigler and Jeff Walcott, who own the nearby Soup Kitchen Cafe. 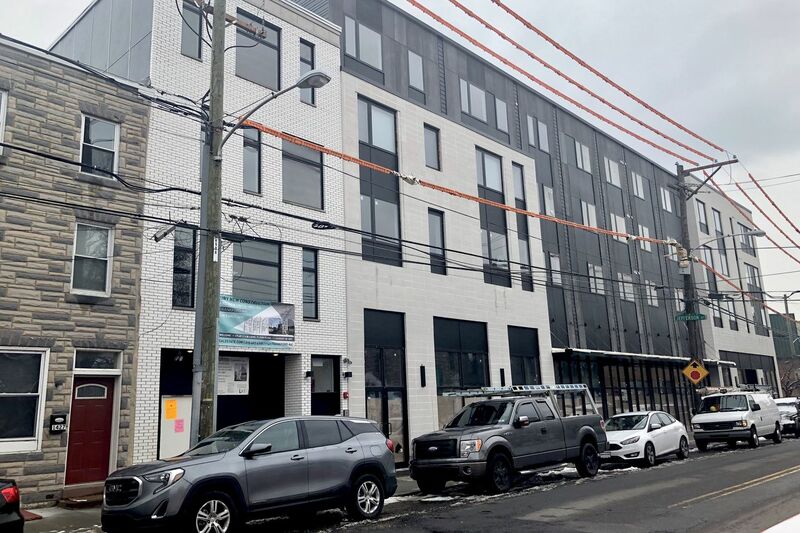 Pom Pom will occupy a new building at 1425 Frankford Ave., at Belgrade Street, across from Cheu Fishtown, Nunu, and Suraya. A Starbucks is going up two doors down. Bigler and Walcott said they were working out the menu, which will include salads, sandwiches, and seasonal vegetable dishes. Vincent Stipo of MSC Retail handled the transaction. N.B. It’s about two blocks from the new Pizzeria Beddia, which Joe Beddia says is on track for an early spring opening.